Some clients are plc companies, some are investment trusts and others private individuals. Some companies contact us for individual valuations, some for ongoing property management and others for marketing advice. Some clients live locally, others around the UK and some reside abroad. We speak to some clients on a weekly basis, report to others every quarter and others contact us only every 3 or 5 years. 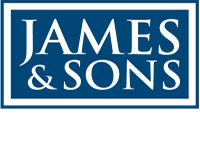 Some clients are referred to us by solicitors and other professional advisers and some contact us because ‘James & Sons sold our parents’ house in the 1970s’. We have long-standing relationships with many clients (some dating back over 40 years) and others have begun to instruct us more recently. Some clients own whole industrial estates, some a parade of shops and others individual flats. In fact, probably the only thing our clients have in common is the need for sound professional residential or commercial property advice and services.